For a supplement that emphasizes clarity in its name, Neovicta Clarity is fairly unclear on the contents of its formula. Nootropic veterans may already have an idea of what I’m talking about. I’m talking about that MF proprietary blend. By hiding its ingredients under a “proprietary” blend label, Neovicta Clarity gets away with hiding its individual ingredient dosages from its customers. However, there’s another twist to the screw here: the proprietary blend used by Neovicta Clarity is also in use by many other supplement brands. So, what’s the deal here?? Well, we’ll need to read the Neovicta Clarity review to find out. Conclusion: Does Neovicta Clarity Work? 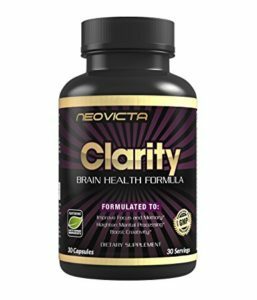 Sold on Amazon, Neovicta Clarity is a “Brain Health Formula” …sounds simple enough: a formula for brain health. Stacking more than 40 ingredients in its capsules, Neovicta Clarity haphazardly mixes vitamins, minerals, and nootropics. The blend is proprietary, yet I’ve seen this exact formula in several supplement brands. Who exactly is the proprietor of this “proprietary” blend? Directions: As a dietary supplement, take one (1) veggie capsule once a day. For best results take 20-30 min before a meal with an 8oz. glass of water or as directoed [sic.] by your healthcare professional. Neovicta Clarity packs way too many ingredients into its 1-capsule serving size, thus limiting the individual impact of each ingredient. With that in mind, I’ll only summarize Neovicta Clarity’s formula, simplifying the ingredient reviews into two sections: 1) Vitamins and Minerals, 2) Proprietary Blend. Let’s get to it, frieeeends. Neovicta Clarity stashes a total of 21 vitamins and minerals in these capsules, supplying generally questionable ingredient dosages across the board. They’re not awful dosages, but they’re not great either. Not to mention that Neovicta Clarity uses a vitamin B3 form that doesn’t actually exist: niacidine. 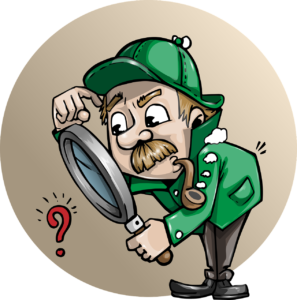 If you search this ingredient, you’ll find the same exact formula used by Neovicta Clarity in other various brain health brand supplements. Which, really, makes the whole formula pretty damn questionable. As far as cognitive enhancement goes, some of the vitamins and minerals may help, namely the B vitamins. Other ingredients, such as vitamin C, may help with the brain’s antioxidant status, enhancing neuroprotection and neuroregeneration… But, again, this is all questionable. This “proprietary blend” sets aside a measly 346 mg for 15+ ingredients. This simply isn’t enough for all of these ingredients to work. With that in mind, I’ll only cover the most important ingredients, as, to be frank, I doubt any of these really work. DMAE Bitartrate – Not the smartest choice for the number one ingredient in this blend. May help with hyperattention and neurodegeneration, yet this compound barely qualifies as a nootropic. More on DMAE. L-Glutamine / Glutamic Acid – The most abundant amino in the body that has potential post-workout benefits. But does it enhance cognition? In most cases, the answer to that is no. More on Glutamine. 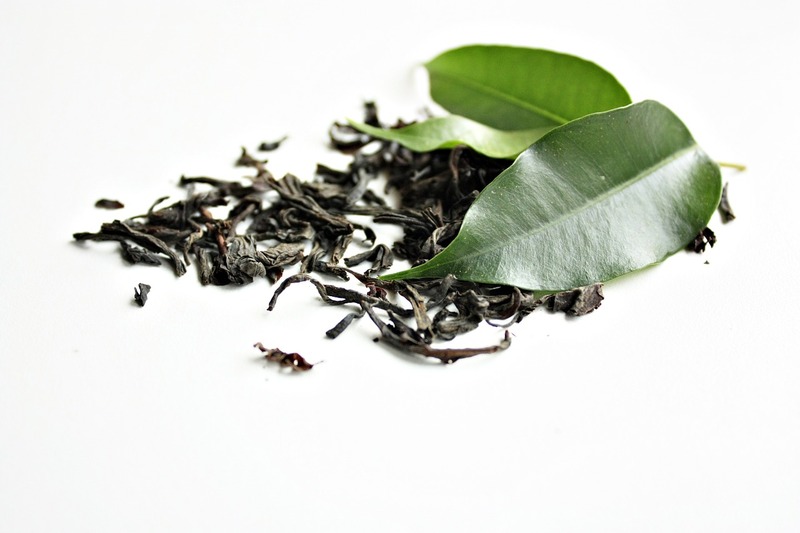 Green Tea Extract – Neovicta Clarity doesn’t tell us much about this extract. Is it green tea antioxidants? Caffeine. Either way, green tea extract generally supplies brain healthy compounds. You can never go wrong with green tea, baby. Bacopin Extract – Again, Neovicta Clarity fails to describe the contents of this extract. Yet, bacopin is an awesome cognition and memory enhancing compound sourced from Bacopa monnieri. Definitely worth checking out. More on Bacopa Monnieri. Choline Bitartrate – Choline is great for the brain. However, dietary choline bitartrate doesn’t quite qualify as a cognitive enhancer, due to the compound’s inability to cross the brain-blood barrier. Citicoline or alpha-GPC would have been the better options here. More on Choline. N-Acetyl L-Tyrosine – When the brain is stress and/or over-activated, the brain burns its natural L-tyrosine reserves to create catecholamine neurotransmitters. Supplying L-tyrosine (or better yet: N-Acetyl L-Tyrosine) may help keep the mind focused and fresh under otherwise stressful conditions. More on Tyrosine. GABA – Similar to choline, dietary GABA is pretty much ineffective, despite playing an important role in brain health. Big-time nootropic enthusiasts turn to picamilon instead, which allows GABA to cross the blood-brain barrier. Grape Seed Extract – Is it resveratrol? 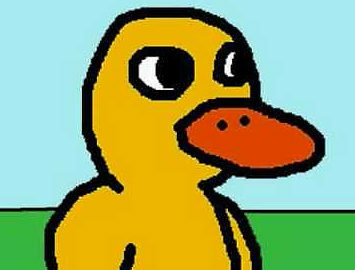 Pterostilbene? Both? Neither? Hard to say. Either way, grape seed extract, like green tea extract, is generally packed with brain healthy antioxidants. More on Pterostilbene. Phosphatidylserine – As a key brain cell membrane phosphoplipid, phosphatidylserine keeps neurons fluid and healthy, enhancing the brain’s ability to self-communicate and release toxins. More on Phosphatidylserine. Huperzine-A – Huperzine-A seems to improve long-term cognition by inhibiting acetylcholinesterase, the enzyme responsible for breaking down neurotransmitter acetylcholine. More on Huperzine-A. Neovicta Clarity is an underwhelming multivitamin stack for being an overwhelming multivitamin stack. What I mean by that is that the sheer number of ingredients overwhelms each ingredient’s individual efficacy, which is generally underwhelming. Put simply: there are too many ingredients and not enough capsule space. If you have to guess the ingredient dosages, they’re probably not good. Had Neovicta Clarity removed all of those vitamins and minerals — that’s right: ALL OF THEM — and focused instead on only a handful of nootropics that actually work …then, yes, I’d be much more confident that this is a brain health formula stack that does what it says. At most, Neovicta Clarity supplies a few effective brain boosters — e.g., huperzine-A, B vitamins — in addition to a few effective brain nourishing compounds. Yet, as a whole, Neovicta Clarity simply doesn’t do enough to operate as a fully function cognitive enhancer — at least for the average, healthy user. Older folk may get a kick out of the DMAE (assuming it’s adequately dosed) and glutamine. But even so: I recommend that the older folk reading this review to find a better, non-proprietary, sufficiently dosed multivitamin stack. Neovicta Clarity does have a few shiny (in quality terms) nootropics, such as N-Acetyl L-Tyrosine, Bacopa extract, and Pyridoxal-5-Phosphate (vitamin B6). The multivitamin portion of this stack may increase your brain nutrient levels. Neovicta Clarity is reasonably priced. Neovicta Clarity simply was not designed to work. Even if it does deliver on the multivitamin angle, it fails on the nootropic front. The Amazon customer reviews are suspiciously positive — and I say “suspiciously” because they’re well-written and over-enthusiastic. Call me a cynic… but I’m not buying it. “Hundred of delighted customers” who range “from college students and busy moms, to athletes and business professionals.” In other words, Neovicta Clarity views itself as a catch-all brain health formula — good for anyone and everyone. Really, I’d put it in the elderly brain health supplement category. More accurately: the cheap, ineffective elderly brain health supplement category. You can buy Neovicta Clarity through Amazon. Currently, the Neovicta website is being redesigned, so there’s a chance you may buy Neovicta Clarity directly through the manufacturers online… but as it stands now, Amazon seems to be the only seller for this bad boy. It’s very, very unlikely that Neovicta Clarity does much of anything significant for your brain health and cognition. At best, Neovicta Clarity supplies some brain nourishing vitamins and minerals. But as a nootropic, this stack fails to enhance cognition in any significant way. What’s more, the commonality of this “proprietary” blend makes the whole formula seem pretty shady. What’s the deal with so many different supplement brands selling this same exact formula? Especially given how ineffective it is? I feel like the cynical answer is: because this is a super cheap formula to make and sell. But that’s pure, cynical speculation. Which ultimately doesn’t matter because my final say on the Neovicta Clarity review is: Don’t buy it. You can do better.